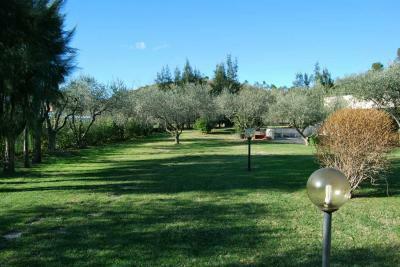 In Villanova d'Albenga, large Villa with lots of charm with a short distance from the beaches of Alassio, from the Golf Club of Garlenda and the old town of Albenga. 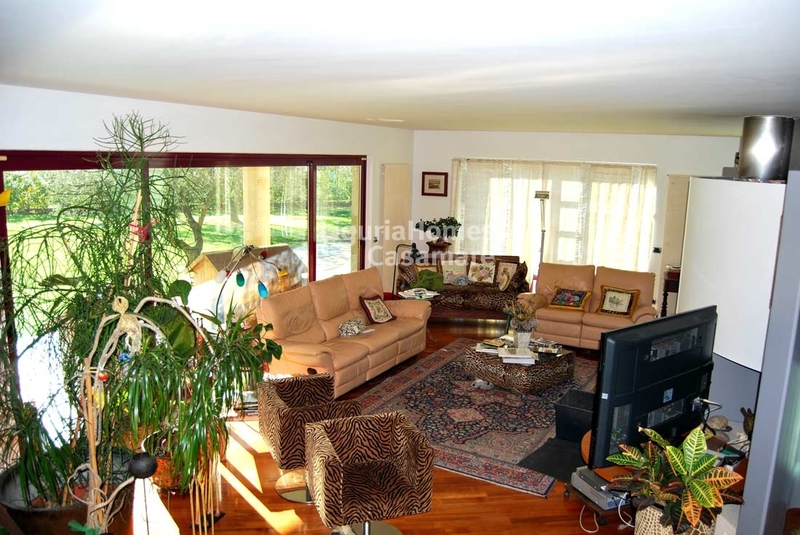 This large Villa with lots of charm in Villanova d'Albenga was designed by an interior designer and has been made with extreme care and attention to quality standards. 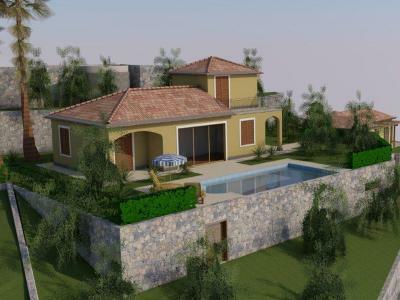 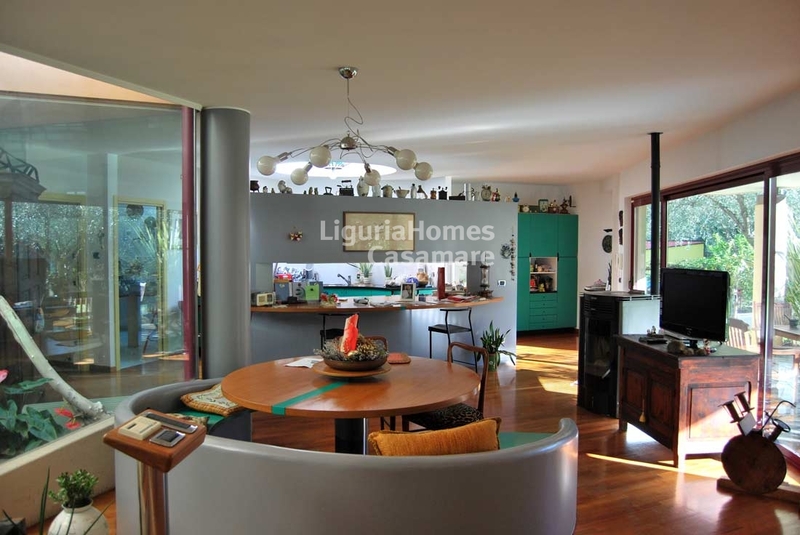 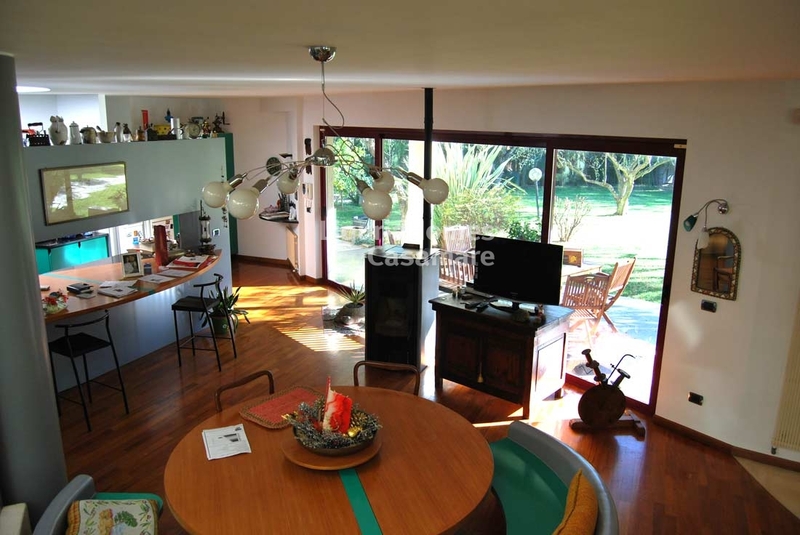 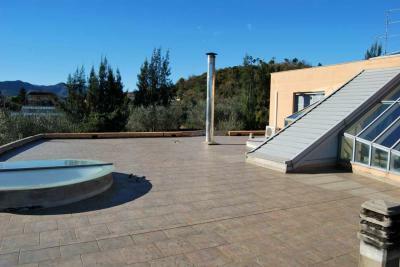 This large Villa with lots of charm in Villanova d'Albenga is developed on two levels. 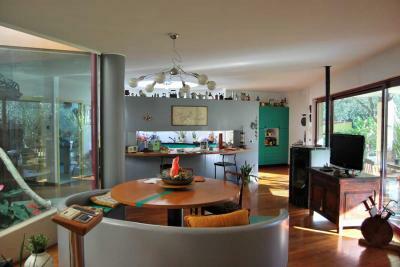 On the ground floor, the living area is divided into several areas including a kitchen in a separate room, a second kitchen that overlooks the living room with a wood stove, a sitting area with pellet stove and fireplace and an area for play or study. 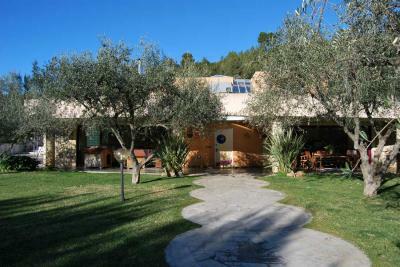 Also on the ground floor of this large Villa with lots of charm in Villanova d'Albenga we still find two bedrooms in the rear, ideal for guests or staff. 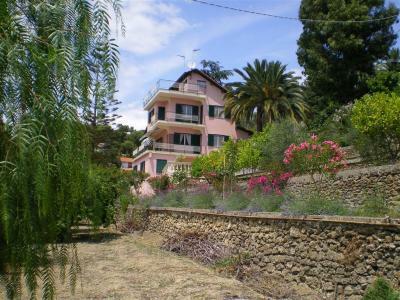 On the first floor of this large Villa with lots of charm in Villanova d'Albenga, you will find the master bedroom with wardrobe, private bathroom with jacuzzi and access to a large terrace; two other bedrooms, one with en suite bathroom and access to the terrace and always on the same plane, another bathroom and a wardrobe in the corridor. 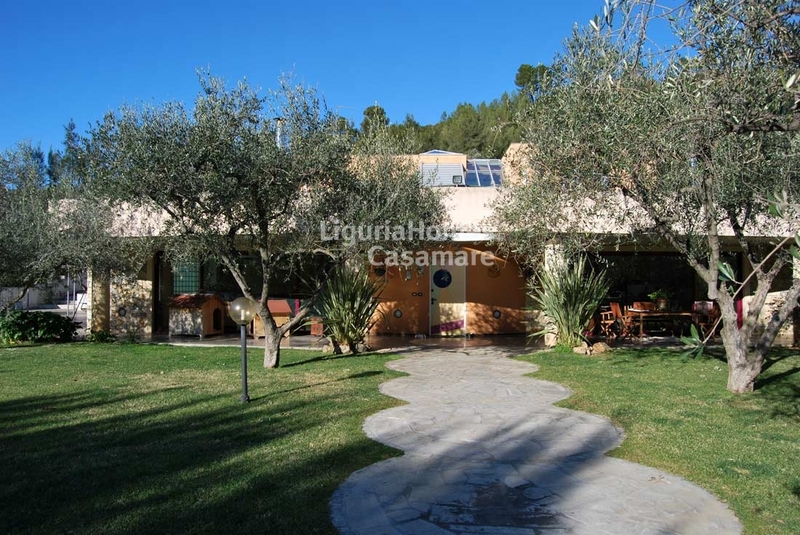 On the ground floor of this large Villa with lots of charm in Villanova d'Albenga, we still find a laundry room, a storage room, a pantry and a bath for guests. 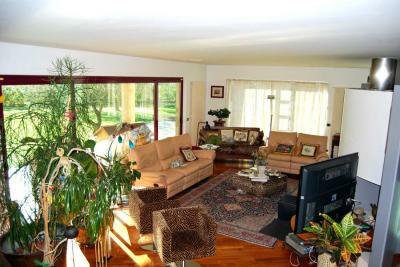 From the large living room full of windows overlooking the big garden (about 3000 sqm.) 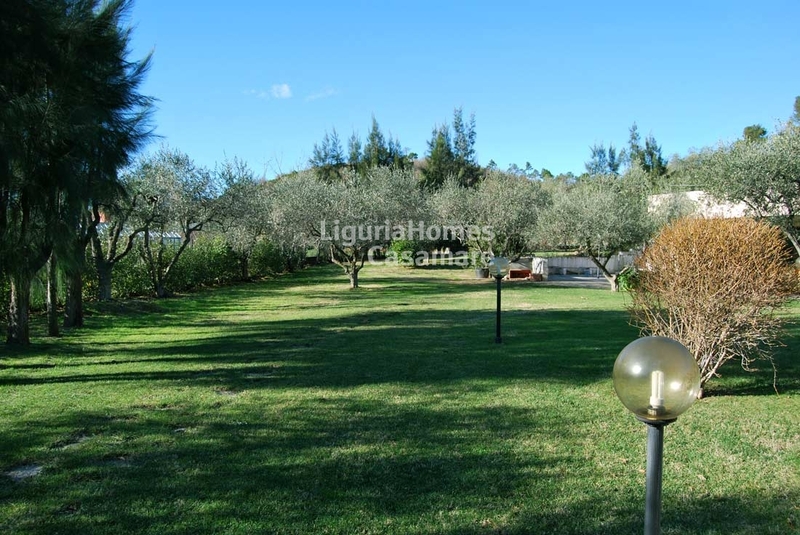 of this large Villa with lots of charm in Villanova d'Albenga, you can enjoy a winter garden adjacent to a patio in the summer useful for outdoor breakfasts and lunches. In this large Villa with lots of charm in Villanova d'Albenga, you have an utility room with boiler condensation, a water softener and a new solar plant to assemble, a huge garage for at least three cars, a BBQ area, a perimeter and volumetric alarm. 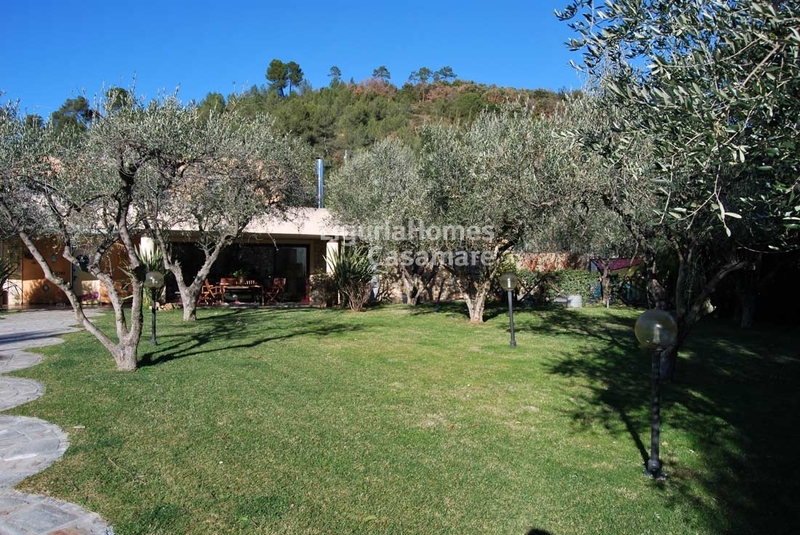 The Villa also has a land with 50 olive trees that provide an oil production of approx. 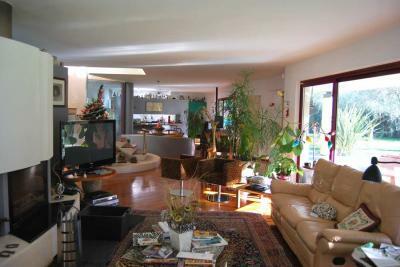 100 lt./Year.